Pilgrim Cove—where love can be as powerful as the ocean next door. …only in Pilgrim Cove stands a unique house right on the beach. Sea View House. A very special place—some say magical—to the people who reside there each season. …and only in Pilgrim Cove are strangers welcomed, while everyone else takes a front row seat as a love story unfolds. 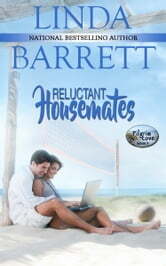 Reluctant Housemates is the third of the four-book Pilgrim Cove series. 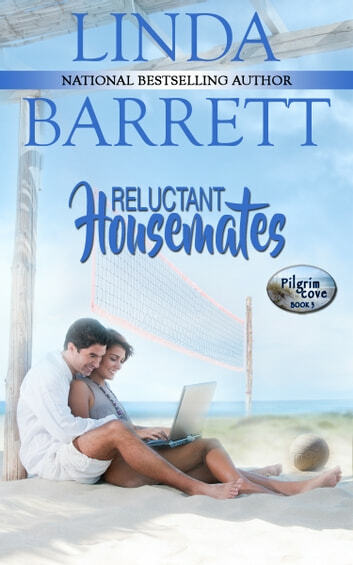 Pilgrim Cove native Rachel Goodman has come home for one good reason: to prove to the town and her family that she’s not a loser. She’d graduated from high school—barely—and gone to college on a swimming scholarship. And now the swimming jock is the new assistant principal for academic studies at Pilgrim Cove High. Her uphill battle to win over the teachers and improve test scores might have gone well except…. Marine biologist Jack Levine has a woman in every port and his boat, The Wanderer, is his most prized possession. When he winds up teaching science in Pilgrim Cove, he finds that he likes the small town very much. So what if he doesn’t follow the rules at school? So what if his boss finds him difficult to work with? As for being housemates at Sea View House…? Well, that’s nearly impossible. Except for the sparks that fly whenever they’re together.